Nat Sherman small cigars and cigarillos have long been the go-to choice for enthusiasts on the go. 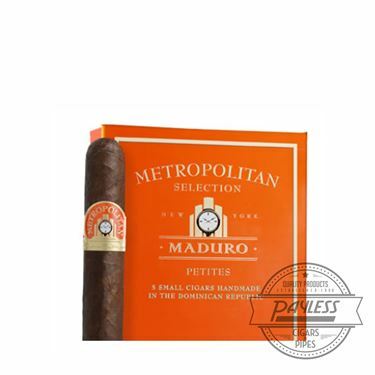 With the historic New York City-based company being well-known for both its premium cigarettes and cigars, these smaller cigars provide a bridge, of sorts, between the two genres. 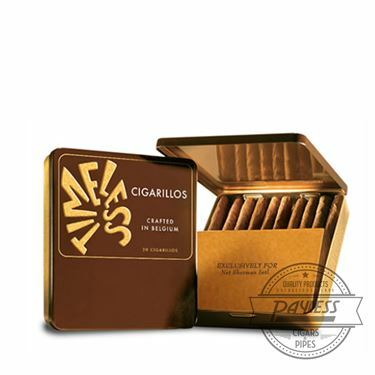 Available in three different wrapper varieties for the petit corona-sized cigars. There is also a smaller, cigarillo-sized version that is made in the unusual location of Holland. Nat Sherman small cigars are hand-crafted in Honduras and the Dominican Republic, offering a smoking experience not far from a traditional premium cigar. Smokers can choose between a traditional Habano wrapper, a dark maduro, or a smooth and mild Connecticut. With any choice, expect a satisfying accompaniment for lunch breaks, coffee, breaks, cold mornings, or any other excuse you can find to squeeze in 15 to 20 minutes of enjoyment! For the cigarillos, expect a shorter smoking time of roughly 10 minutes, showing a mild to medium body and a surprising dose of enjoyable flavor. These cigarillos arrive in tins of 20 cigars, making for ideal transportation and convenience (so long, sticks of gum...).